Just 60 will be built, and none of them are likely to make it Stateside. 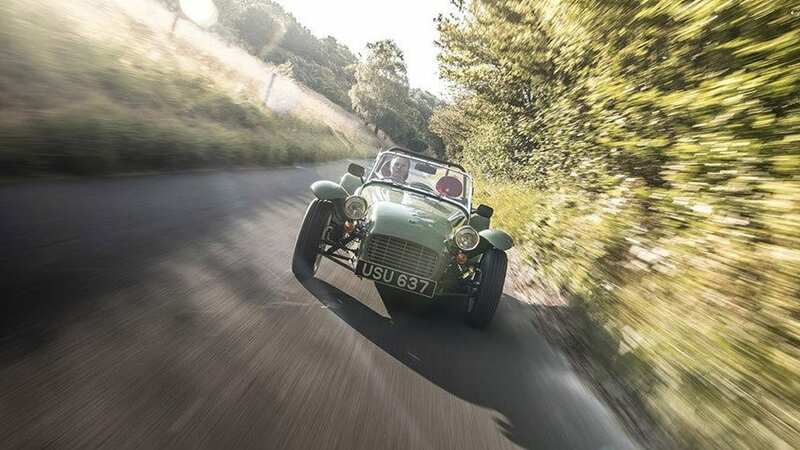 A Caterham Seven oozes retro style. Modern engineering may mean the car no longer shares any parts with its original Lotus counterpart, but one look at the little roadster and it's easy to see the car's heritage. 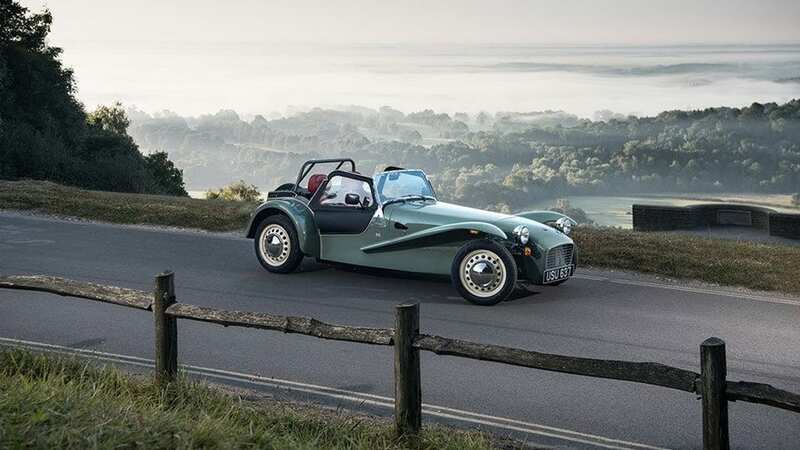 Caterham loves pumping out variants of the Seven, and the 2016 Goodwood Revival seemed like the perfect place to announce the latest version, the throwback Caterham Seven Sprint. 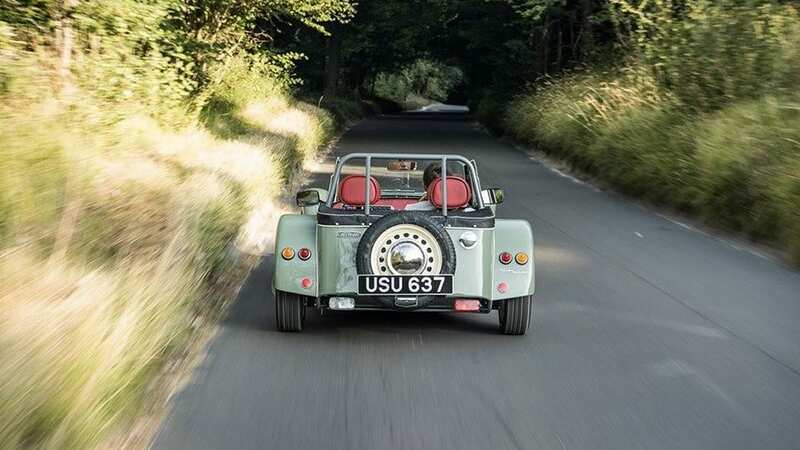 Caterham calls the Seven Sprint a design "that was seemingly planned in the mid-1960s but never launched." It's apt then that the company is using it to kick off its "60 Years of the Seven" celebrations. The Seven Sprint is based off the European-only 160 model, meaning it's powered by an 80-hp turbocharged three-cylinder Suzuki engine. While the bonkers Seven 620 R may be the biggest and baddest Caterham available, the bare bones Seven 160 just feels more appropriate here. There are a number of retro styling touches throughout the car. The limited edition Seven Sprint comes wrapped in one of six colors originally offered by Lotus in 1966 and 1967. 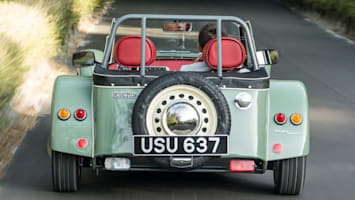 The Chassis is powder-coated grey, just like the Series 2 Lotus Seven. 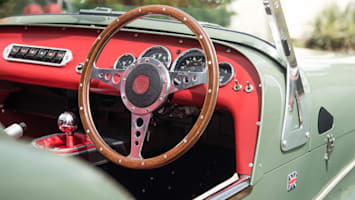 The cream-colored wheels feature polished hubcaps, while the interior features a wood-trimmed wheel and the interior is trimmed in a wonderful shade of red. The body has been slightly reworked to look more like the original Lotus designed car. Mechanically, not much has changed. Power from the Suzuki three is fed through a five-speed manual. Some of the suspension bits are similar to Colin Chapman's original design, but that's true of the standard 160. The car should be just as much of a riot as any other Caterham, just packed to the gills with style. 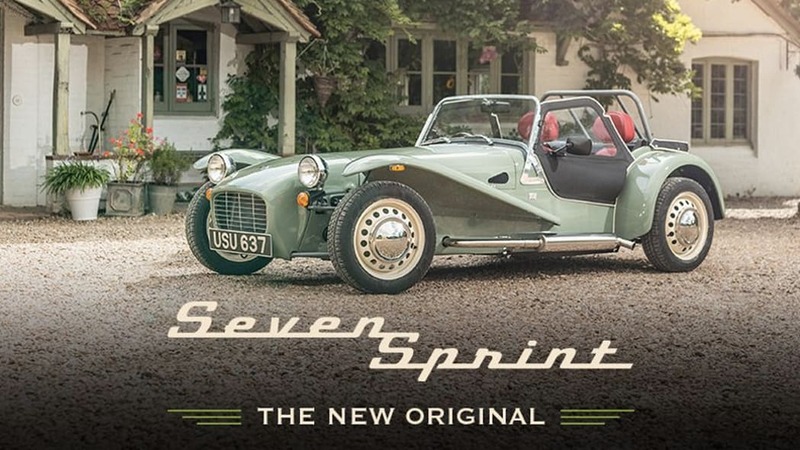 The Seven Sprint is available only as a fully-complete factory car. It's unknown if any of the 60 produced will make it to the US. Prices in the UK start at £27,995, or about $37,000.